At the World Medical Tourism and Global Healthcare Congress in Las Vegas starting this weekend, much of the discussion will center on a few of our favorite topics: healthcare information technology, physician collaboration, and continuity of care. These topics need urgent attention as a growing number of American patients are seeking care outside the U.S., according to Patients Beyond Borders, a resource organization for medical tourism. The number of American medical tourists has been rising by 20 to30 percent annually—with 900,000 Americans expected to go overseas for care this year. And that doesn’t include tourists who get sick while traveling. The U.S. receives its own share of medical travelers. Bloomberg News deemed it the 3rd leading health destination with 800,000 international patients seeking help with the most complicated health conditions. One key driver is cost. Procedures done abroad offer savings up to 70 percent, according to a report from Deloitte. In one case recently described in The New York Times, an American who flew to Belgium for his hip replacement slashed his costs from about $78,000 to $13,660. Patients aren’t the only ones looking for a bargain. Employers and health insurers are outsourcing some health procedures to overseas facilities. For example, Anthem Blue Cross and Blue Shield in Wisconsin offers to send employees of their corporate client Serigraph to India for some elective procedures, while Blue Cross Blue Shield of S.C. covers patients’ surgeries done in Thailand. Concerns about quality are waning as a growing number of foreign health hospitals and clinics are owned by or affiliated with elite health U.S. centers, including the Mayo and Cleveland Clinics, Duke, Johns Hopkins, Harvard, and Tufts Universities. 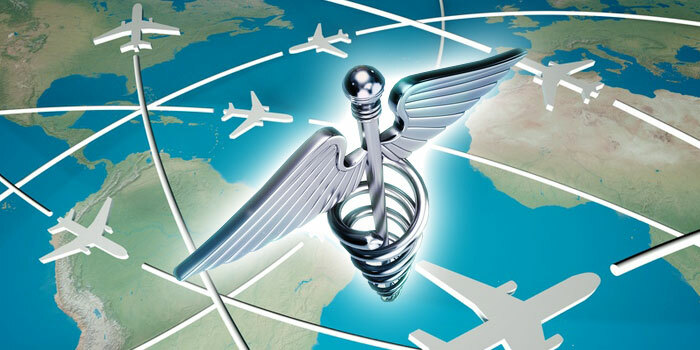 More than 220 healthcare facilities in other countries have been accredited by the Joint Commission International (JHI), an affiliate of the Joint Commission, the main hospital accrediting organization in the U.S.
Medical tourists may get bargains on quality care and enjoy the perks of travel, but seeking care far from home is a complex undertaking. In addition to navigating the travel itself, patients need to find healthcare providers near home who are willing to coordinate care such as pre-op testing and rehabilitation. The American Medical Association (AMA) has created guidelines for medical tourism, including advice about coordinating follow-up care to ensure continuity of care and the transfer of health records following HIPAA guidelines. EHRs and add-on technologies can facilitate physician collaboration and continuity of care. Tools such as the CMTCorp Physician Collaboration Platform can be a valuable resource for medical tourists and their physicians. Providers and insurers can use these tools to expedite communication and the secure transfer of records. Those who use such a system can better help the growing number of patients seeking care abroad, establishing an expertise in coordination with overseas medical centers. Medical tourism offers an increasingly attractive healthcare option and a growing trend. Patients and providers need solutions that make it easier and safer than ever, and we’re excited to be a part of that.